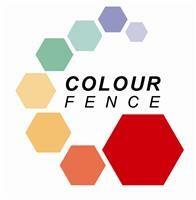 Colourfence - Fencing/Gates based in Newport, Gwent. I spent my early career as a supply chain specialist in South Africa before returning to the UK to work for a well known retail group. My father, a well known Newport businessman, had Colourfence installed at one of his properties and I was stunned when I saw it. “At last” I thought “a quality product that I would be proud to sell.” The rest as they say is history as I came on board to look after Newport and the surrounding area. I became the Newport fencing franchisee for Colourfence. I have exclusive responsibility for the area. I have undergone extensive training and preparation to provide expert fence fitting and installation. I can handle any ground preparation required onsite, provide no obligation site surveys and free written fencing quotations. Colourfence offer contemporary garden fence panels which come in four different colours. They are durable, strong, and long lasting, with a 25 year guarantee. This solid fencing is ideal for fencing off gardens and backyards. It comes in four appealing colours; green, brown, blue and cream. Trellis topping and secure gate systems are available as optional extras for Colourfence. You can also buy ColourRail, a tough tubular fencing solution which is ideal for fencing areas that don’t need to be private. This comes in a wider variety of colours, with a range of different edging. Both solutions are attractive, effective and low maintenance. All you will need to do is hose the fence down once a year. This is a great time saving alternative to wooden fencing. Wooden options typically need cleaning, staining, sealing and pest prevention. Colourfence is the UK's strongest, low maintenance fencing system that is guaranteed to save you precious time, money and hassle year after year. Colourfence is made from Colorbond steel, one of the most advanced steel Products in the world. Available in a variety of heights and colours, with or without trellis. •No annual painting, treatment or repairs! •Strong yet lightweight - can withstand wind gusts up to 130 mph. •Guaranteed not to rot, warp, chip or peel for at least 25 years. •Fit & forget - 'no worry' maintenance free fence. •Beautiful to look at year after year. •Ensures good neighbourly relations, both sides are the same. The best news is that pricing is just as attractive. Starting costs are in line with comparable traditional systems but offer the ongoing peace of mind that your investment will continue to save time and money year after year. We are committed to giving our customers the best possible service, so please give us a call today for a free no obligation quote.